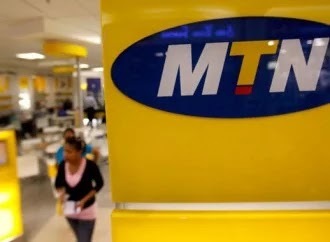 Dominant mobile operator, MTN Nigeria, said in Lagos on Friday that it is willing to restore relations with the telecoms umpire, the Nigerian Communications Commission (NCC), regardless of the current situation in the industry. Speaking to journalists in Lagos, newly appointed Chief Executive Officer, Ferdinand Moolman, and Corporate Service Executive, Aminat Oyagbola, noted that MTN had utmost confidence in NCC and holds the regulator in high esteem, emphasising that MTN was ready to restore good terms with the regulator. According to Oyagbola, the approach to reconciliation is to correct any area where the firm had erred in the past. where we have erred in the past, ensure good business relationships with all stakeholders in the industry. It starts with a show of good faith; speaking the truth. 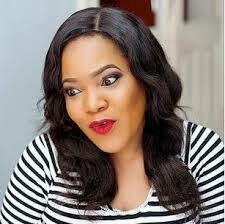 We want to restore and generate more goodwill,” she stated. The new CEO added that the fine issue was very critical for MTN to resolve, disclosing that the fine is about 95 per cent of their total revenue for a year. The telecommunications company appealed to affected subscribers in the on-going re-registration of Subscriber Identification Module (SIM) cards, stressing that the whole process would end well for subscribers, the operator and the industry as a whole. Moolman said it had become expedient that MTN have a solid database of its subscribers as a basis for the next phase of the telecommunications revolution, especially in the area of broadband provisioning. Oyagbola continued that a hamonised database was needed to be able to offer world class services, saying “MTN actually brought in new systems, hires about 10,000 contract staff for the re-registration process. We are committed to supporting the government in building a national database”. She noted that MTN is doing the registration afresh, that it would be done in batches and completed in the next six months. “We are sorry about the number of times a subscriber had to revisit our outlet. The target is to have an accurate database from our own end and then syncronise it with that of the regulator. “It is a voluminous exercise. We have placed order for SIM registration equipment from the manufacturers, but they claimed to have run out of stocks because it is not only Nigeria that is registering subscribers. They gave us till March for them to have stocks,” Oyagbola stated. The CEO lamented the impact of the falling oil prices and fluctuating foreign exchange. He maintained that these challenges are impacting negatively on the ability of the firm to import equipment from abroad.